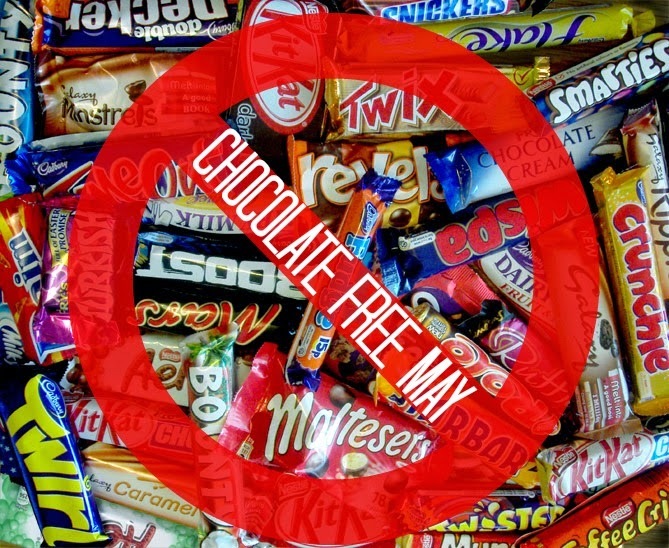 Good luck m'love & I'll be on board with #chocolatefreemay too! Good for you! I'm determined to loose weight in May too thought I don't think I have the will power to even consider going cold turkey on chocolate. I think I'm going to join you on this one! Chocolate is my major fall down too need to cut it down big time! Good luck! The only way I could give up chocolate is to drink more coffee. I'd need to get a caffeine buzz from somewhere. Good luck with quitting, Im craving sugar so badly at the moment! Good luck! I would join you but i literally have zero sefl control haha!